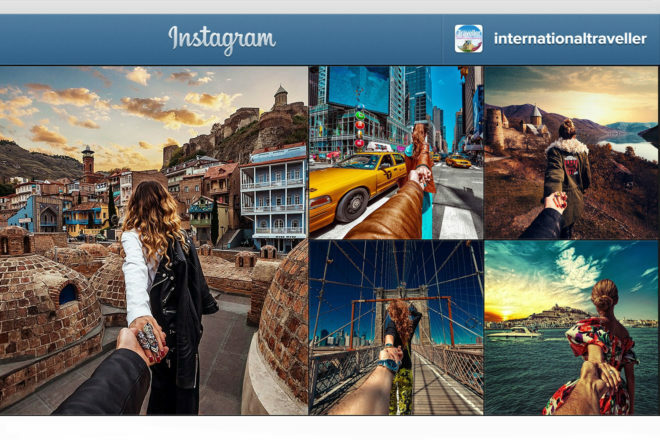 @muradosmann Our favourite Instagram accounts, fuelling our wanderlust. @adriansky on Instagram: Don’t look down! Or do. 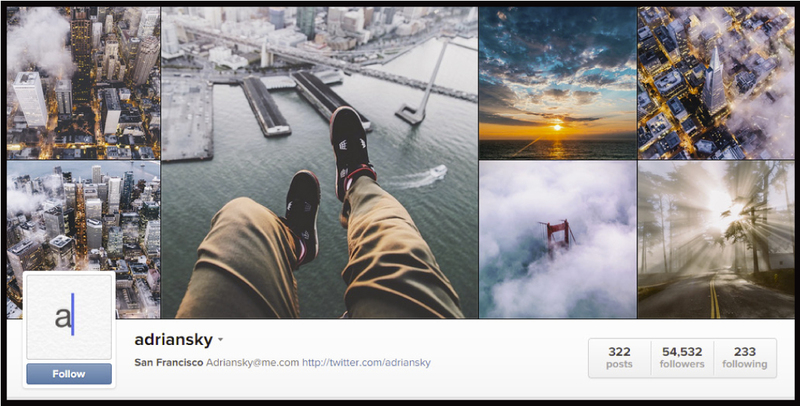 This whimsical-looking account from a San Franciscan photographer is predominantly shot as he, almost literally, sits on top of the world. 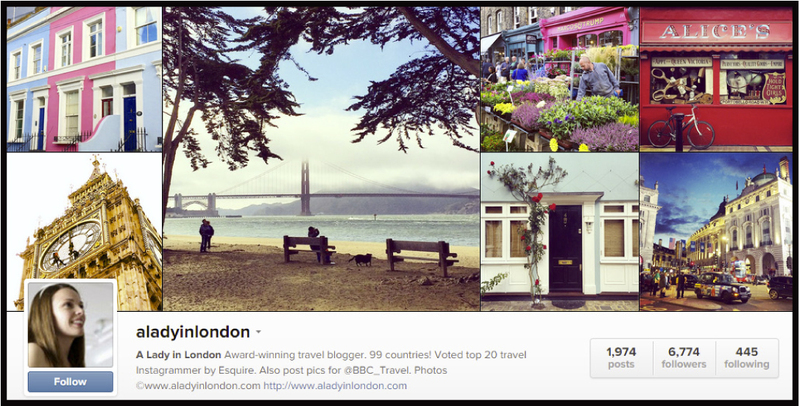 @aladyinlondon on Instagram: A cheery and colourful account owned by an expat Californian living in London who travels the world for her award-winning blog of the same name. So far, she has visited 99 countries… and counting. 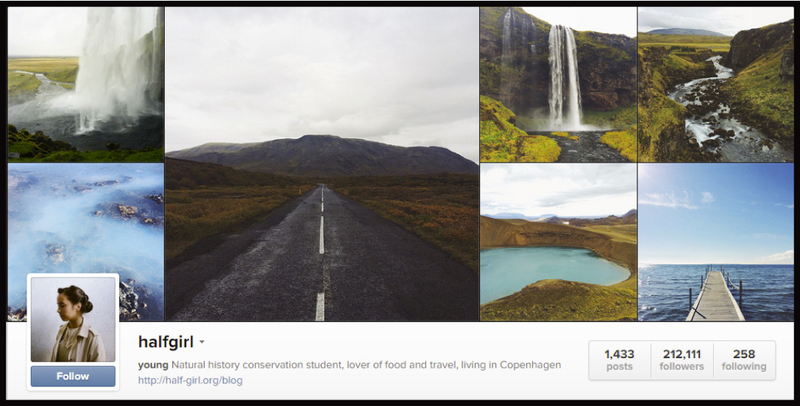 @halfgirl on Instagram: It’s no surprise the young Scandinavian girl responsible for halfgirl is a natural history conservation student by looking at her ’grams, which showcase beautiful, wide-open spaces and natural wonders. It's like a breath of fresh air. 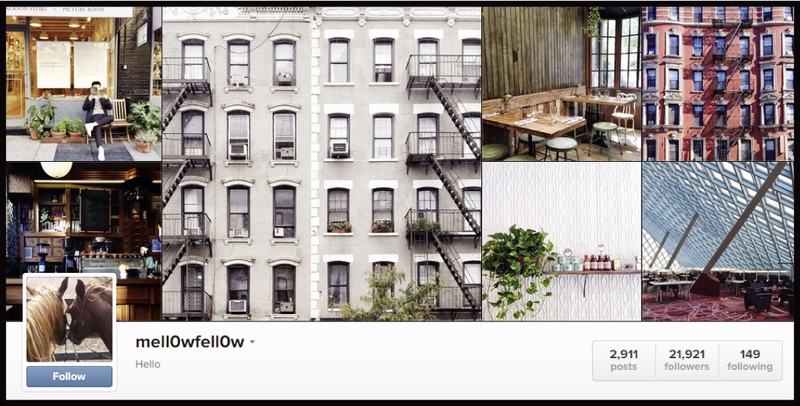 @mell0wfell0w on Instagram: From a mysterious fellow who lets New York City be the star – from its building façades to beautiful blooms to delicious coffee to interesting interiors – it’s a very cool take on the Big Apple from a local’s point of view. 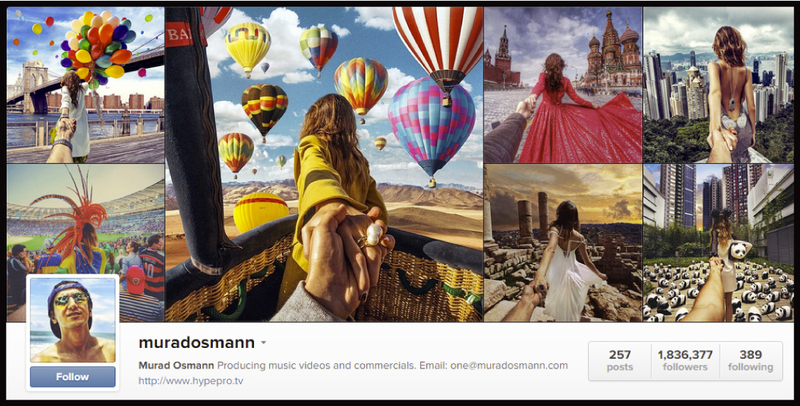 @muradosmann on Instagram: Now this is love: Russian photographer Murad takes breathtaking photos of colourful and exotic locations as he is led by his girlfriend around the globe. Her wardrobe almost steals the show. 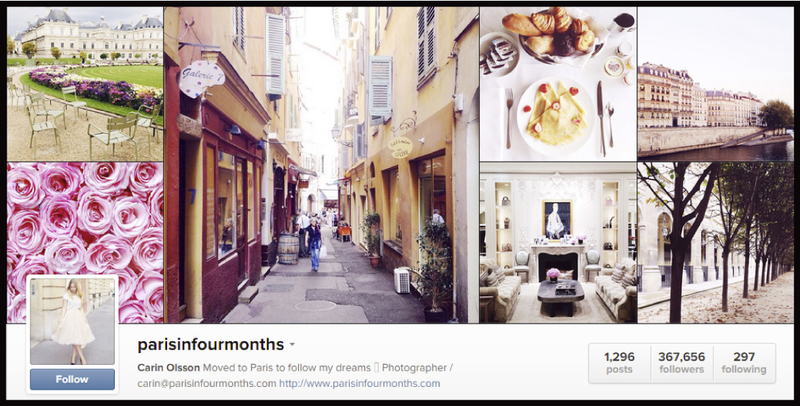 @parisinfourmonths on Instagram: Stockholm sweetie Carin moved to Paris for an intended four months back in February 2012 and never left; who could blame her? Her pastel and pretty account is an absolute delight to follow. @thetrottergirl on Instagram: Founder of Trotter mag, a curated publication of city guides for sophisticated travellers, New York born-and-bred The Trotter Girl shares her love of food, coffee and streetscapes on this neutral, neat account. @worldwanderlust on Instagram: The name says it all. This young Australian is a full-time travel blogger, and has so far travelled solo to 50 countries across six continents snapping vibrant landscapes, objects, interiors, food and herself. 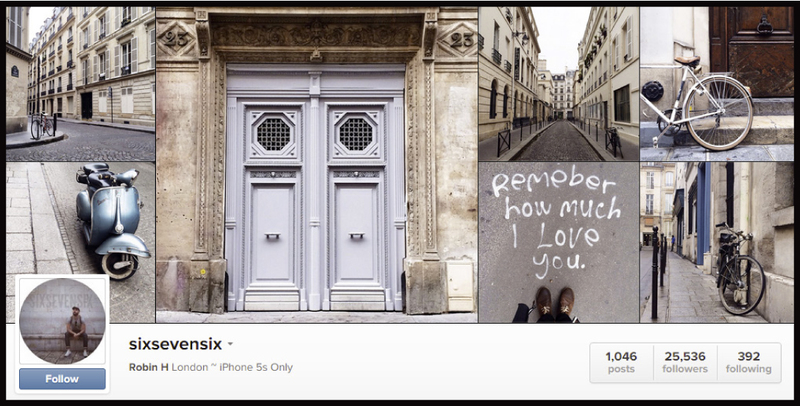 Here, nine Instagram accounts fuelling our wanderlust. 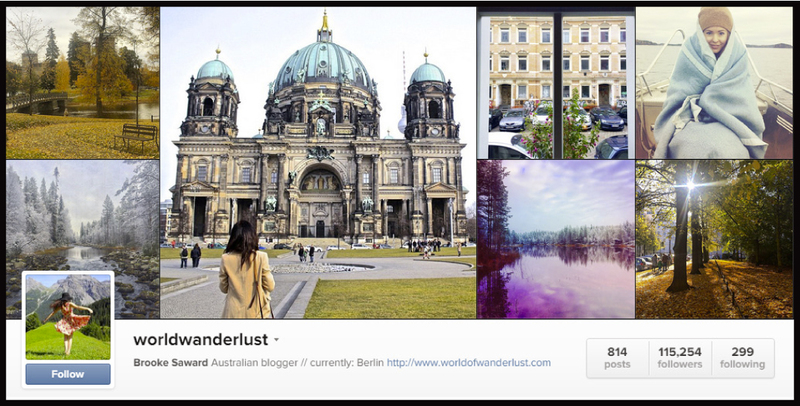 To follow International Traveller on Instagram, find us at @internationaltraveller.